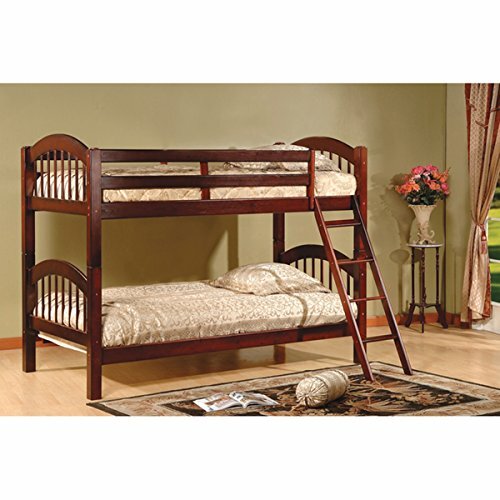 Get the most out of a shared bedroom, or keep a bed ready for sleepovers without taking up precious floor space with the charming Twin over Twin Arched Bunk Bed. It's a beautiful and smart addition to any space. Overall Height - Top to Bottom: 64 Inches Overall Width - Side to Side: 42 Inches Overall Depth - Front to Back: 83 Inches * Barclin Distribution Co. is an independent third party distributor. Orders are fulfilled through the warehouses of several large commercial vendors and supply chains. The packaging and paperwork may reflect the name of the vendor or warehouse who fulfilled the order.